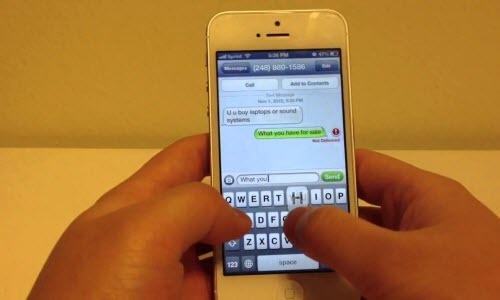 To start retrieving deleted text messages from iPhone, first free download the trial version of iPhone data recovery software for windows or Mac. both of them are available to iPhone 5s,iPhone 5c,iPhone 5,iPhone 4S,etc. 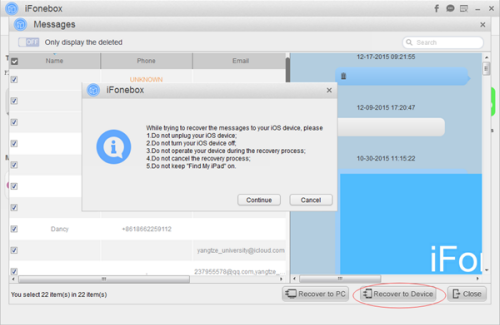 If you have backup file but don’t want to restore the whole backup from iTunes, You can use iFonebox to access the iTunes backup and extract the text message selectively. 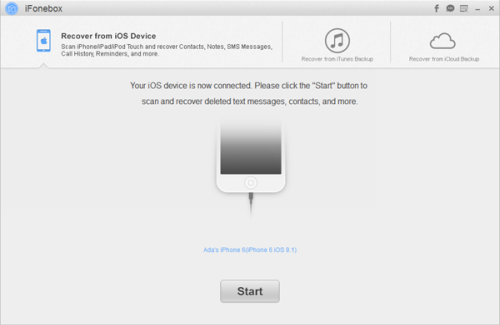 This iPhone Date Recovery will automatically scan your iPhone to find out and analyze all the existing and deleted files. 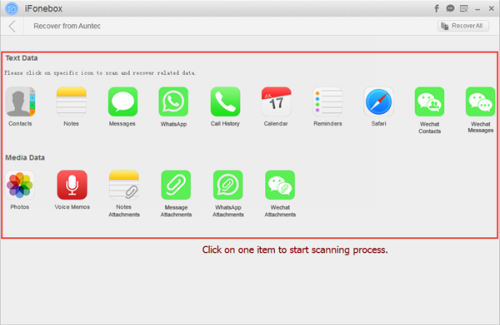 The scan time depends on the number of the file on your iPhone. So if there are lots of data on your iPhone, please wait patiently until the software finish the scanning task. After scanning finished, you can easily preview all data found on your iPhone in the scan result. Click the “message” on the top side of the window to preview the content. 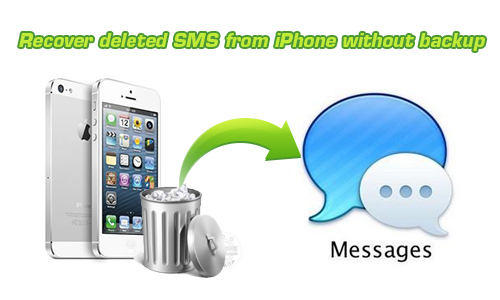 The data displayed in the scan result contains deleted and existing messages on your iPhone. You can check the box “only display the deleted items” to list deleted message only. Then selectively mark what you want before click “Recover to Device” or “Recover to PC” button to save deleted message on your computer.